Name: is Rotary for you? 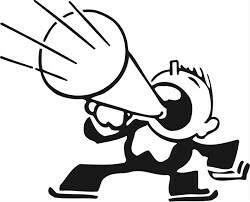 Join Us and 'Be a person of Action"
Membership: You are the missing Piece! Welcome to George Rotary Club! 16 C J Langenhoven Rd., George Central, George, 6530.Western Cape. * You have the option of a one plate meal and a wine draw @ R85.00 OR R10.00 for the draw ONLY! Drinks are available waiter service or from the bar. The Rotary Club of George was chartered on October 1951 and is one of the oldest Rotary Clubs in the Western Cape, our members are a group of professional, business and enthusiastic men and women who are dedicated to the Rotary ideal of 'Service above Self.' We meet every week for a meal and fellowship at the George Golf Club, our purpose is to help charities, institutions and needy people in the area of the Greater GEORGE Municipality. Membership is open to business and professional men and women of any age and from any business or worthy occupation. We raise funds for the many projects that we support through Voluntary Community work, Events and Fundraising Projects and we participate enthusiastically in Rotary International's Foundation Global Grants Programmes and Youth Programmes. Fellowship is an important part of our Clubs ideals and principles, so we also enjoy many social activities with our partners and family. 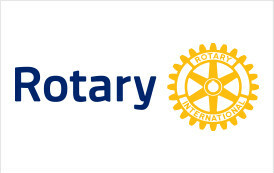 If you would like to be involved in Rotary it is important that you attend a few meetings to get a feel for the club and understand the work that the club undertakes. Rotary has no racial, religious or political boundaries, nor does it seek to supplant or interfere with a member’s religious or political activities. A Rotarian is not asked to put Rotary before family or business life, but regular attendance at meetings is encouraged. Are you an established professional who wants to make positive changes in your community and the world? Our club members are dedicated people who share a passion for community service and friendship. Becoming a Rotarian connects you with a diverse group who share your drive to give back. Interested? Contact one of our members and join us in making a difference in our Community! Solving real problems takes real commitment and vision. For more than 110 years, Rotary members have used their passion, energy, and intelligence to take action on sustainable projects. From literacy and peace to water and health, we are always working to better our world, and we stay committed to the end. Is Rotary for YOU...get involved…Join ROTARY help those less fortunate in our community!